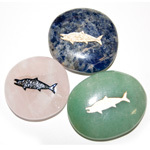 Wolf / Pisces >February 19 - March 20 This water element sign personifies teaching and passion. 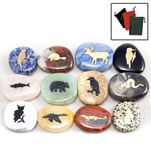 As a spirit animal the wolf is thought of as teacher and pathfinder. 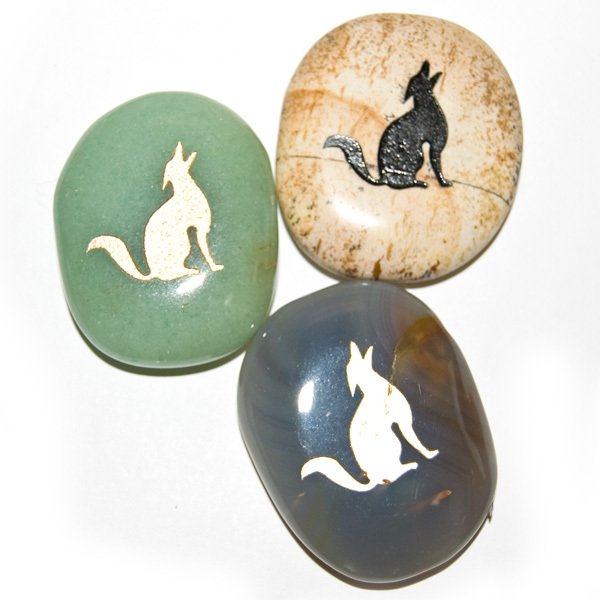 Though wolves are considered fierce, they are actually a very social; intelligent and friendly animal. 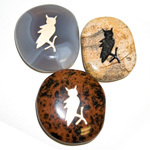 They show us the importance of family and friends; the pack is a wolf's large facet of meaningful survival. 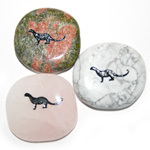 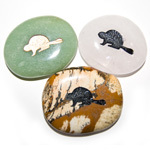 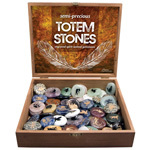 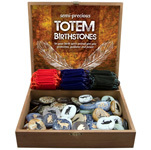 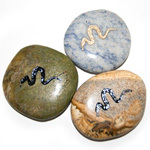 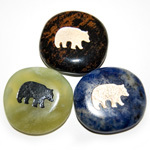 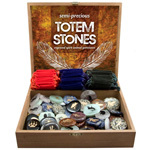 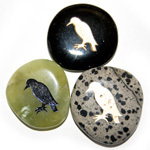 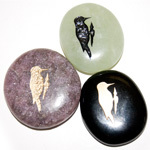 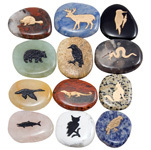 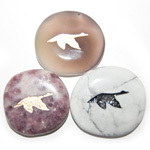 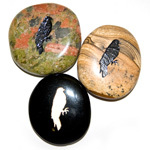 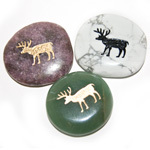 Totem Birth stones feature an animal that symbolizes the unique attributes of each sign of the zodiac. 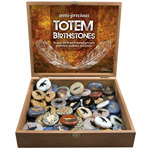 They can be used for guidance and inspiration as they were for our native ancestors. 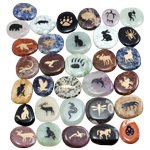 These assorted semi precious stones and their twelve carved figures have been used as symbols of power and expression for ages.